This is a 16×20 oil painting of Lauderdale, Mississippi during a nice sunset. I love painting sunsets. It’s one of my callings and a very popular request for commissioned items. This is one of my favorite pieces! I love low horizon sunsets everyone is a little bit different. 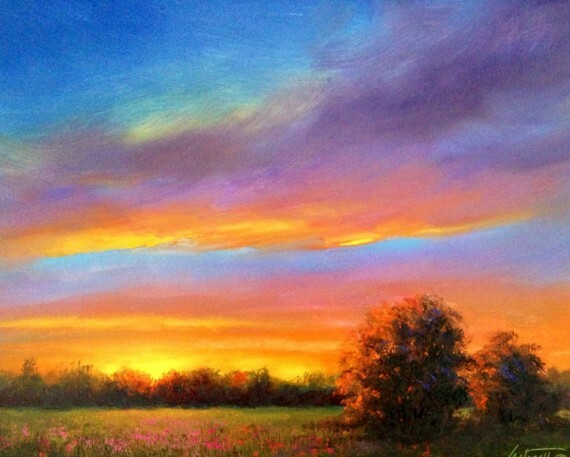 This was done out in a pasture on a hot summer evening the sky seemed to be on fire. This was just moments before the sun disappeared.